Heirloom style guest towel set with an Easter or spring motif! 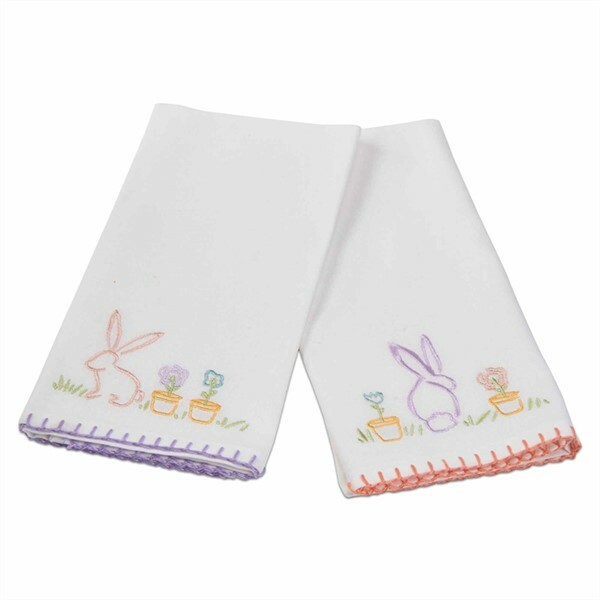 These are a set of two white cotton guest hand towels embroidered with bunnies and potted plants on grass and trimmed in lavender and apricot. They are approx 16" x 22" and are perfect for Easter decor in your guest (or any) bath. What a perfect gift for an Easter or spring hostess!